Occasionally, I post on our Facebook fan page, offering to find free books in your favourite category. Here is a list of the all the free books I found so far! Is your favourite category not listed here? Post your favourite reading category in the comments below. I will do a search and in a day or so, I will post a list of up to 100 free books in your category! The Canadian and UK Amazon now have lists of free books too - I will have to update my lists! Don't have a Kindle? Use a free reading app! 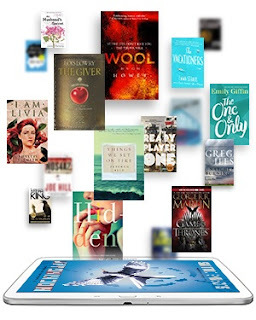 Available on your iPhone, Android phone, Blackberry, Windows Phone, PC or Mac computer, iPad, iPod Touch or Android tablet - just grab a free Kindle Reading app.